Summer is a time when children gets bored and would beg us mommies to keep them amused. With two teens in the house, that are constantly hooked on their gadgets... I squeezed my brains out on how to make their summer vacation worthwhile, without putting a big hole in my pocket. Dapat wise tayo mga mommies! 1. I plan to put a SUMMER-IFIC vibe into our home by changing some decors and accents. Let go of dark and heavy fabric draperies and curtains. Instead, hang light fabric curtains that also let the summer breeze in. So I assigned ate to choose curtains to be installed in the rooms. 2. Go Green! I'm an avid gardener, and I decided to put some indoor plants to freshen the air at home. 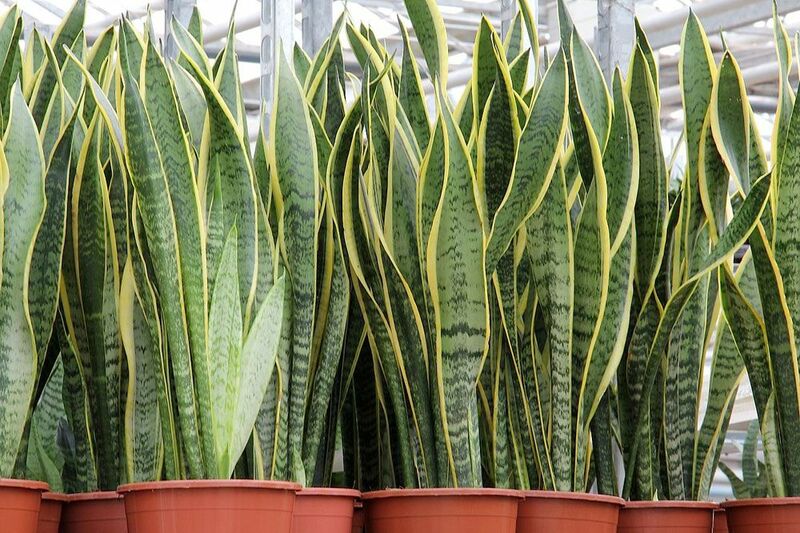 I asked kuya to transplant some mother-in-law tongue. Find out other plants indoor plants that can purify your homes. 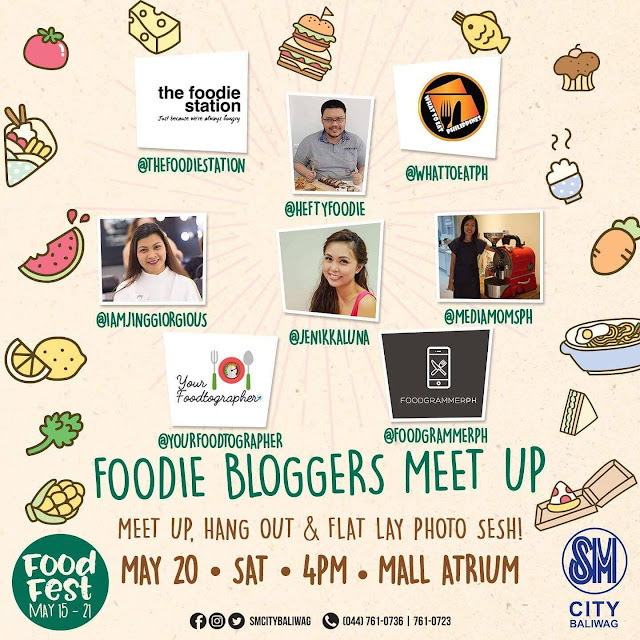 SM CITY BALIWAG FOOD FEST: FEAST FOR THE EYES AND THE PALATE! Ever since I started blogging, FOOD has always been a favorite subject... to photograph, to write about and of course, to taste. Blogging has given me awesome food experiences. 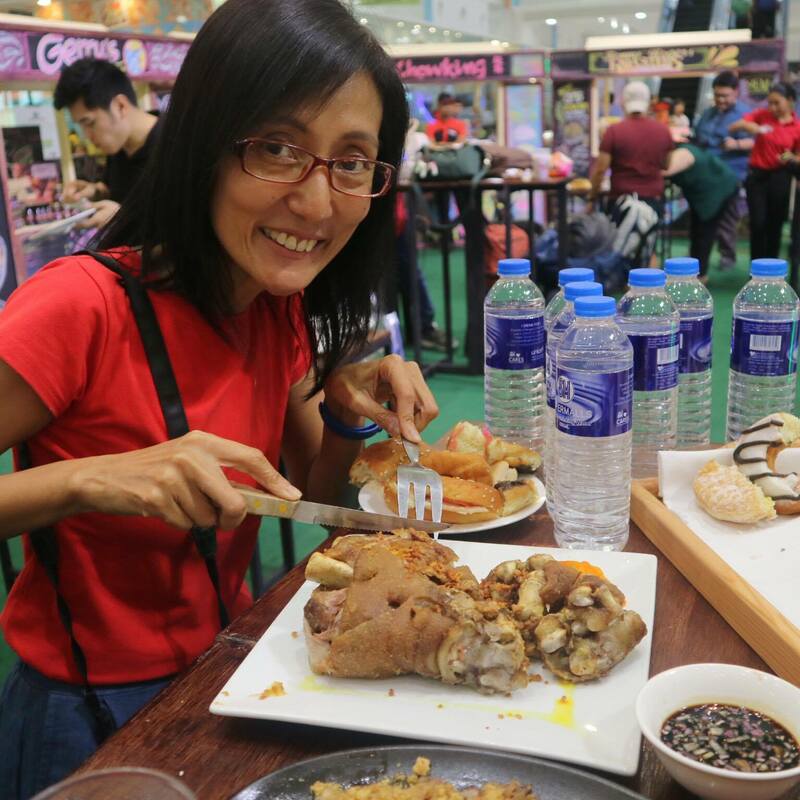 No one can beat that happy feeling as you describe the mouth watering dishes. 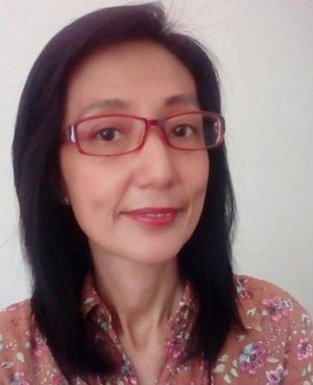 Sometimes I ran out of adjectives to describe the gustatory satisfaction, that I just present to my readers, beautiful photos, hoping that somehow, the would be enticed to try it for themselves. I learned that if I want to blog about food, I must learn a few basic in food photography. So I started researching about FLAT LAY. I'm still not an expert in this, but I am slowly learning the tricks. So I was happy to be in the company of fellow foodie-bloggers at the SM CITY BALIWAG FOOD FEST for an afternoon sesh in food styling, photography and flat lay! 1. Choose the HERO for your flat lay. Once you've chosen it, the other elements (food, props) now become BIT PLAYERS. It is also interesting to use different angles and lines. 2. HEIGHT is might in Flat Lay. You might be needing a chair or stool to get the shot that you want. 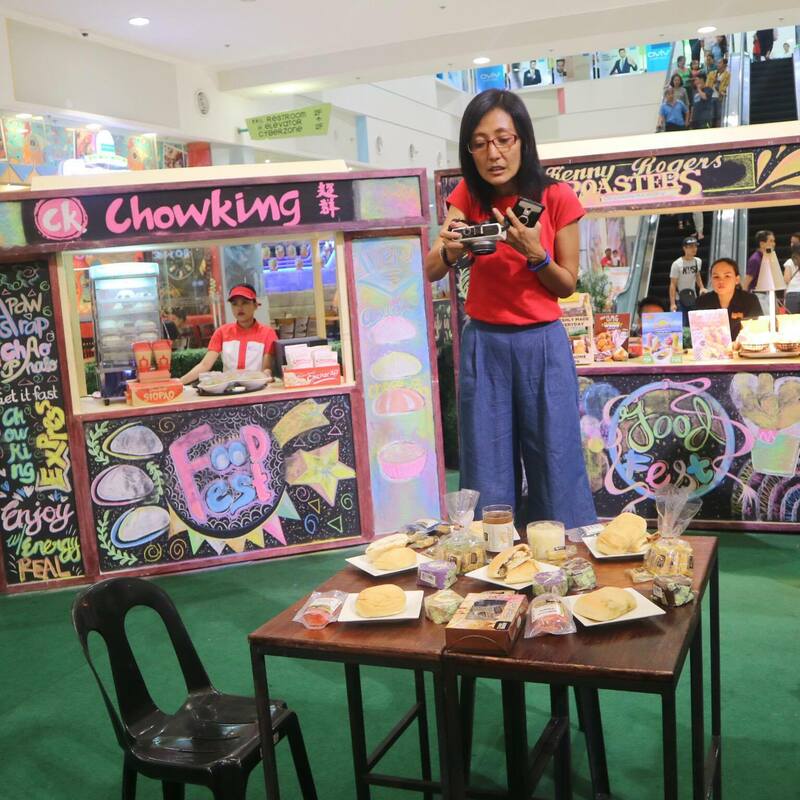 "Gotta munch on that meatballs first"
Hope you will have a fun time experimenting on your next food shots my dear readers.... as I enjoyed my Saturday afternoon at the SM CIty Baliwag Food Fest. Ever heard of the saying, "When the going gets tough, the tough go shopping?" 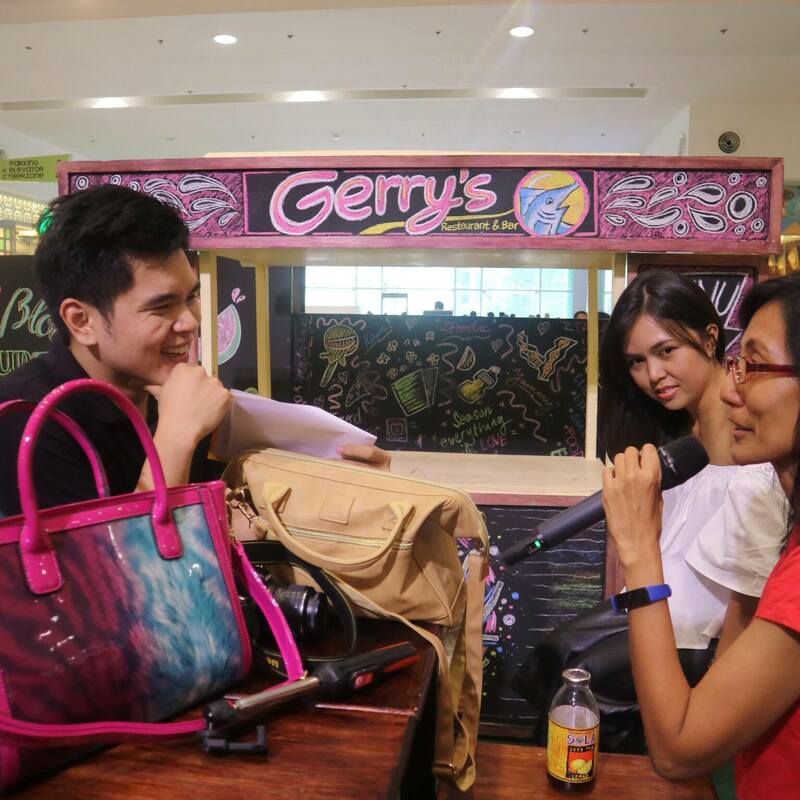 Don't get me wrong.... wala po akong pinagdadaanan hahaha! But I am a firm believer that a momshie has every right to go on a retail therapy, once in a while. Why I do it? One, I have a valid excuse to stroll in the mall and do some walking. What a fun way to exercise huh! Two, I always want to be updated with latest trends when it comes to home decorating and furniture. Home and furniture sections of department stores are my happy places on earth :) Third, hey Mother's Day is just around the corner. Isn't it a valid reason to shop... to reward myself for this 24-7-round-the-clock-career that I have? 1. Focus on heat generated by summer. Equip your homes with electric fans that will help you keep refreshed all day long. 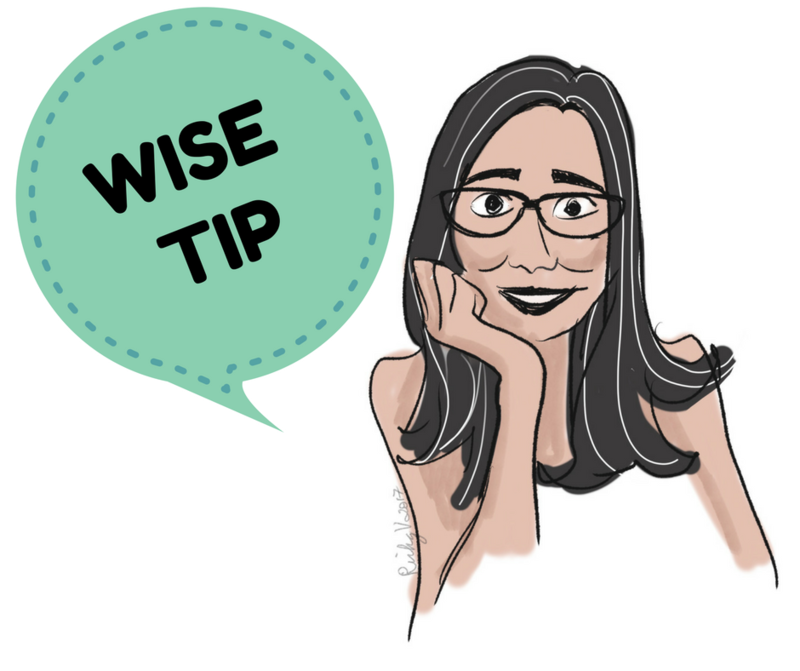 For an added cooling effect, fill a large metal mixing bowl with ice and put it in front of the fan. A budget friendly alternative to airconditioning units. 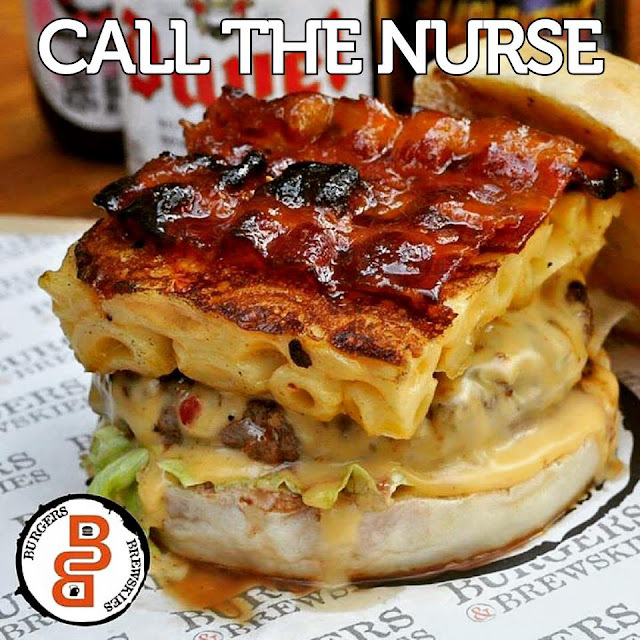 When it comes to burgers, Burgers and Brewskies definitely know what they serve! 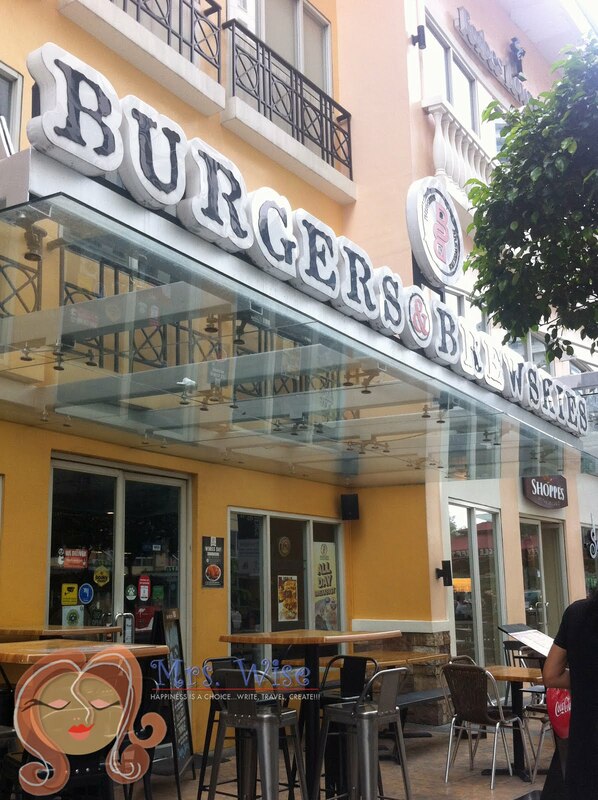 And yes, they serve one of the meanest burgers in town! They started the business by joining food bazaars and yes... people were literally lining up to have a taste of burgers creatively named as Call the Nurse and Kandi Burger. 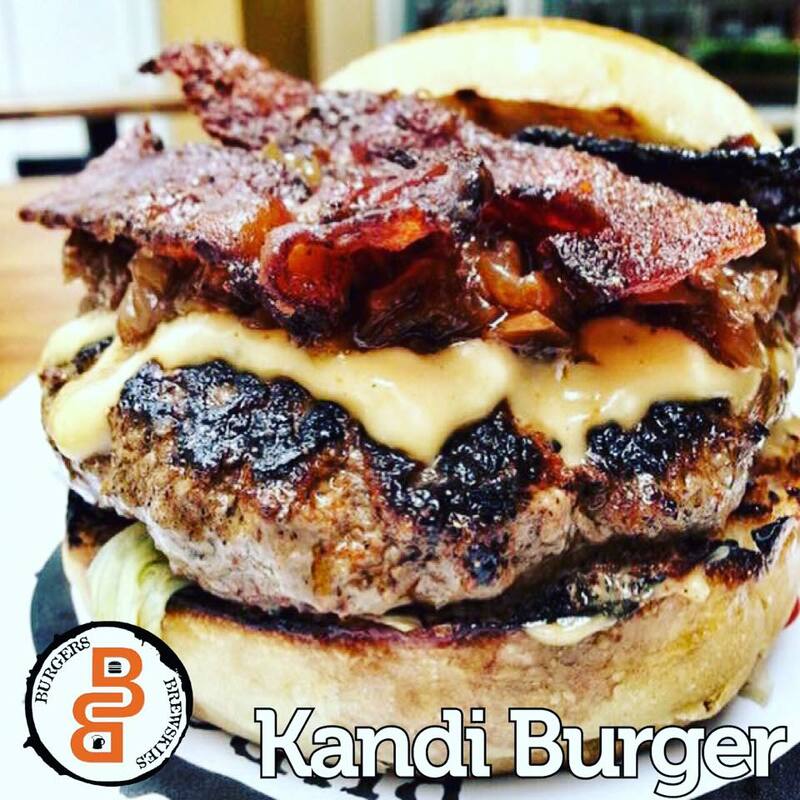 As a restaurant, B & B has been in the business of satisfying your burger cravings for 3 and a half years now. And still going strong. 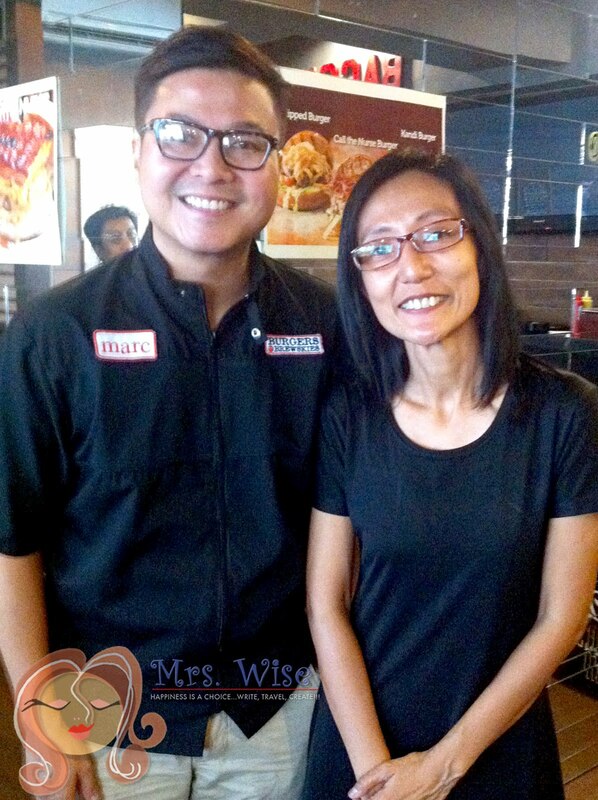 According to Chef Marc, their secret is really simple. First, they just want to serve great tasting burgers, that is best paired with beers that are readily available in B & B. 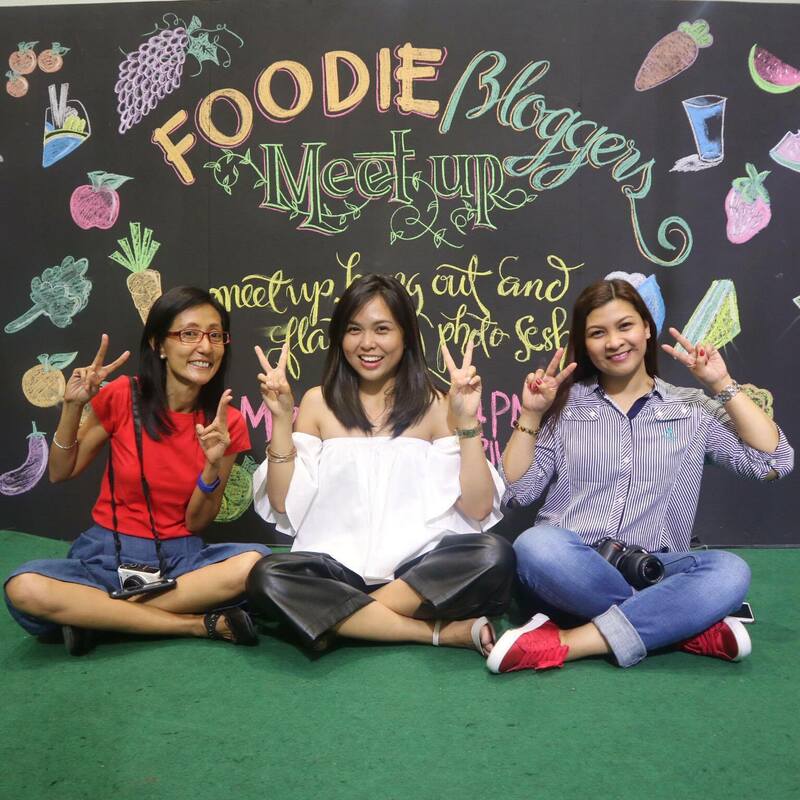 Second, they want to create the ambience of "eating good food with friends and barkada" -- thus the laid back atmosphere in the resto. And third, they keep on innovating their menu. They want CREATIVE and non traditional dishes, they never wanted to be referred to as a "gourmet resto". Working moms will surely agree when I say... it's really very challenging to prepare delicious and easy-to-prepare meals. What if you have an application that will help you solve your cooking concerns? 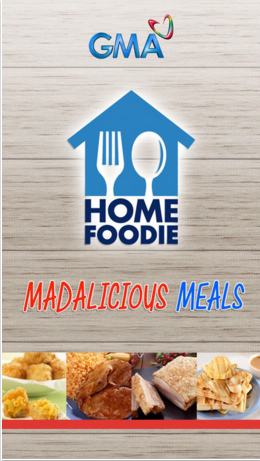 Presenting the HOME FOODIE Madalicious Meals Mobile App. 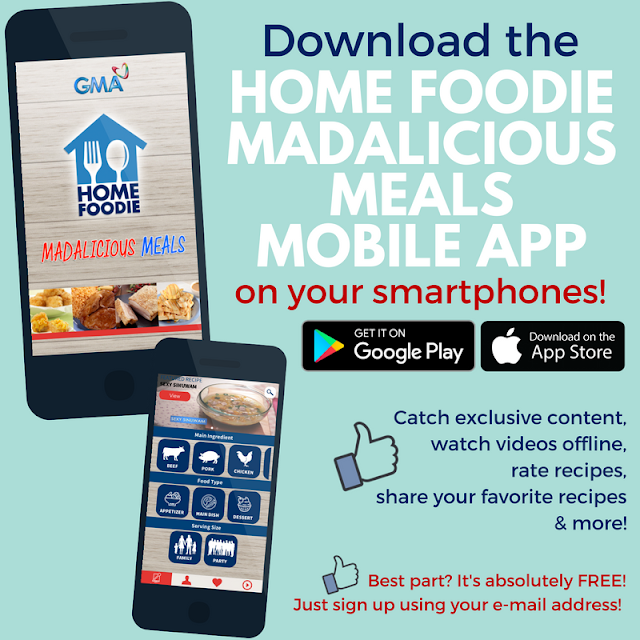 One of the reasons why you should catch the 3rd season of HOME FOODIE with celebrity couple Drew Arellano and Iya Villania and the San Miguel Purefoods Celebrity Chef -- Llena Tan-Arenas, RJ Garcia and Rene Ruiz. With digital technology on our side, moms like me now have a cool "cooking companion" to help me with my kitchen concerns. You can download it for free on Google Play or App Store. WHEN HUNGER CALLS... IT IS TIME FOR A PITSTOP! If you love food and you are always on the look out for something interesting, creative and delicious to munch on.... then visiting a food park must be on top of your list. Definitely one of the hottest trends in the foodie industry -- food parks will never disappoint the foodie in you. One, the choices are unlimited. If you go with your friends or family, you can simply "disperse", choose what your appetite dictates, then simply merge again to enjoy your choices... probably have a taste of what the others ordered, and eat and drink the night away! 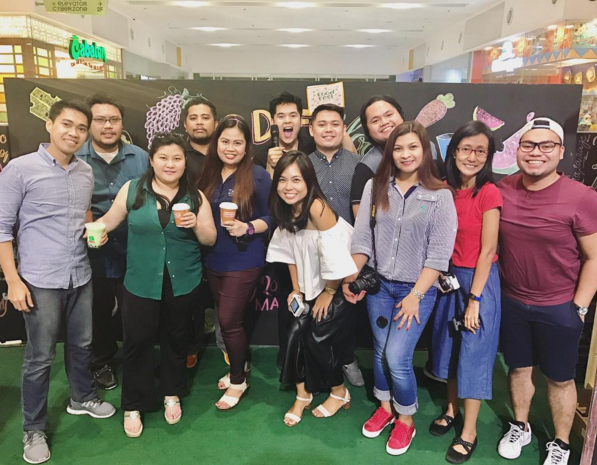 This is exactly what I experienced with the hubby when we were invited to the opening of the latest food park in Quezon City -- PITSTOP! 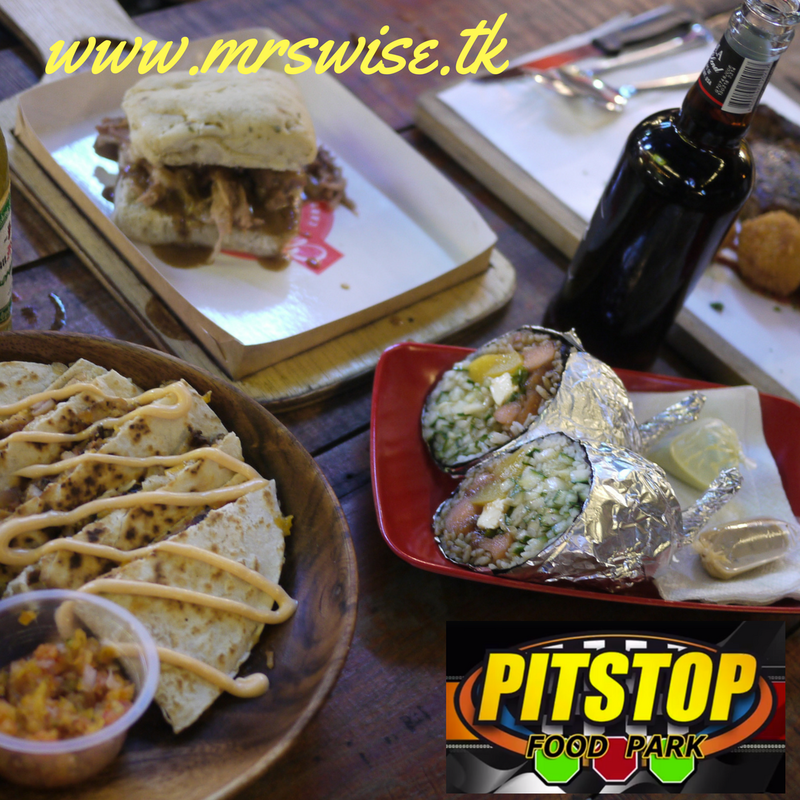 If you compare the food choices here at Pitstop to car racers, then the competition is definitely aggressive and fierce There are several food stalls waiting at the finish line just to satisfy your cravings. As promised my dear readers... I will share with you the interesting recipes to 5 Global Food trends of today. 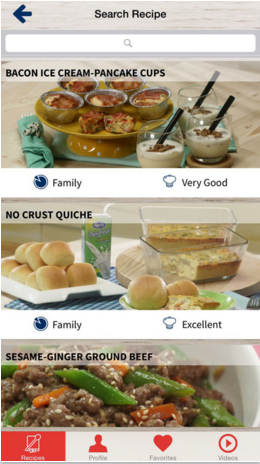 Now you can make these recipes at the very comforts of your home. 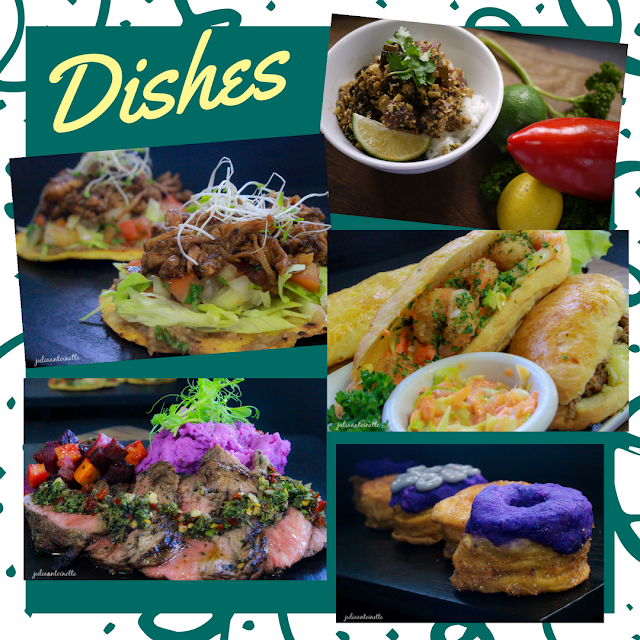 Be a top chef for a day, and surprise your friends and family with these dishes that will tickle their taste buds and will bring them to one gustatory journey that they will never forget. 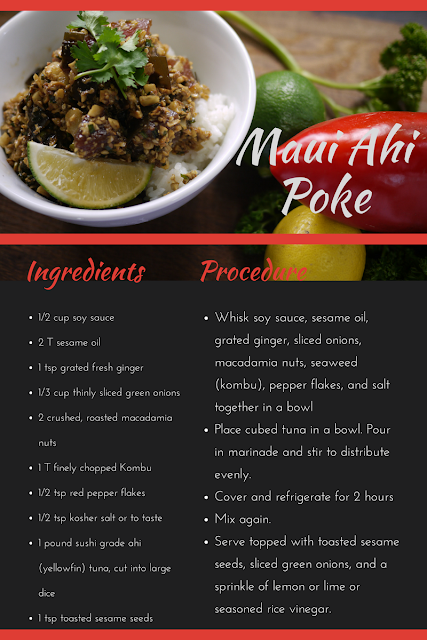 Maui Ahi Poke is a dish originating from Hawaii. And I swear this recipe is so easy to do. All you have to do is mix the ingredients and let the marinade penetrate the raw tuna. If you are fans of tuna sashimi or kinilaw, then you will definitely enjoy this dish! 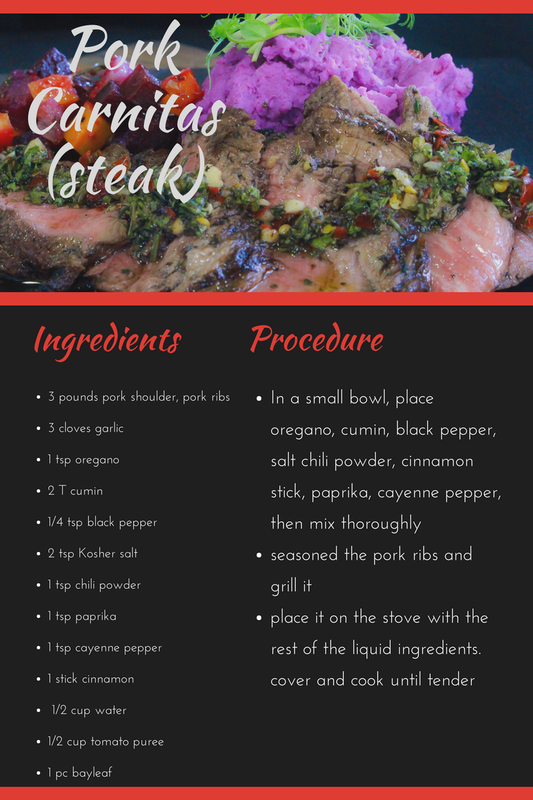 To cook Pork Carnitas, you need to devote a LOT of time, but this dish makes it very ideal for celebrations. The pork shoulder will undergo a dry rub marinade, then thorough grilling, then boiling until the meat is tender. 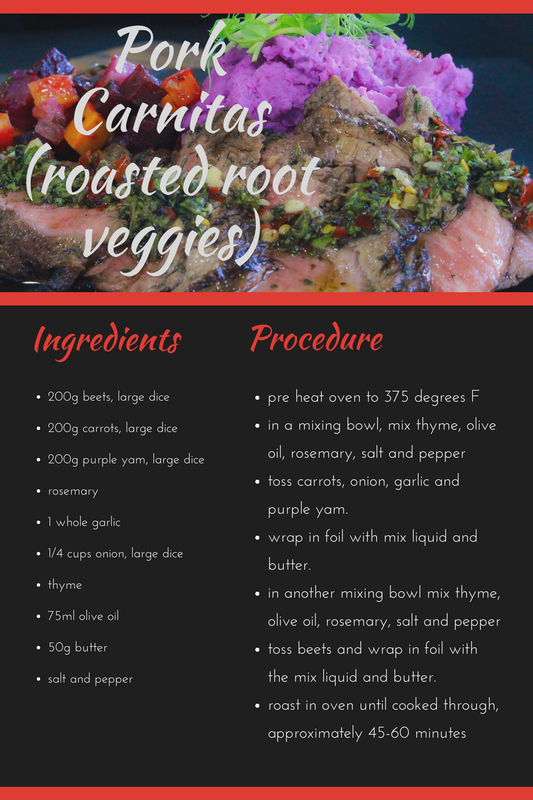 The roasted root vegetables is a superb side dish. I have admitted so many times in this blog.... I-DONT-COOK! But I didn't say that I won't at least give it a try. 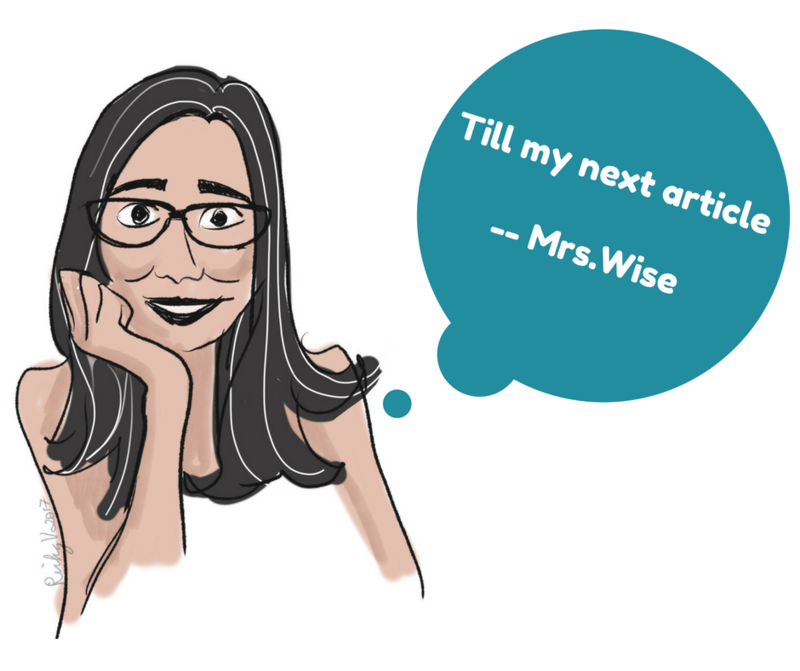 I am thankful to this blog for giving me unlimited opportunities to get my hands active in the kitchen. 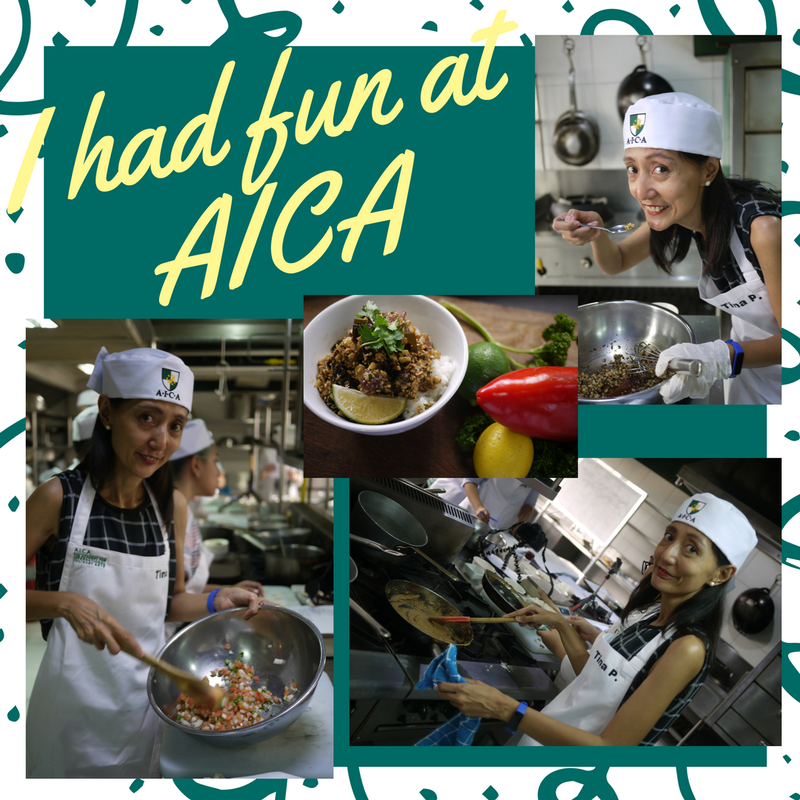 I was so glad to have been invited to AICA or the Academy for International Culinary Arts in Pasig. Having been in the industry for 12 years, AICA has established itself as a premiere culinary training ground for aspiring top chefs. It prides itself in its well trained instructors who are masters not only of the traditional disciplines of cooking but the different 21st century applications of these skills as well. Now... I-WAS-LITERALLY-PANICKING! My mind was trying to compherend how can I cook all of those "complicated" dishes, when I am just a kitchen newbie? Waaa.... How can I survive this experience? The cooking was intense! We were doing everything. Yes, we had AICA interns to help us. Yes, the ingredients were prepared ahead of time -- chopped, minced, sliced, etc. Yes there was Chef Marlon guiding us along the way. But I still felt the pressure. We were treated like real culinary students. The grind was tough. In a nutshell.... these are the things I did. made the marinade for the Maui Ahi Poke by simply mixing everything in the bowl. Check out the video to see how we prepared most of the dishes. How we worked so hard. How we jumped from one dish to the other.